The 78th Aradhana Celebrations at Siddhamalli - A Grand Success! The 78th Aradhana celebrations of Mahaan Sri Subramania Sastrigal [Yatheendraal] was celebrated on Wednesday 16-11-2011 at His Adishtanam in Siddhamalli in a very grand manner. To get the Holy Blessings of the Maha Swamigal of Siddhamalli, there was a large gathering of devotees present for the Aradhana celebrations this year. As is customary, the Aradhana function began with the chanting of Rudram, Chamakam etc by Vedic Scholars and pundits. 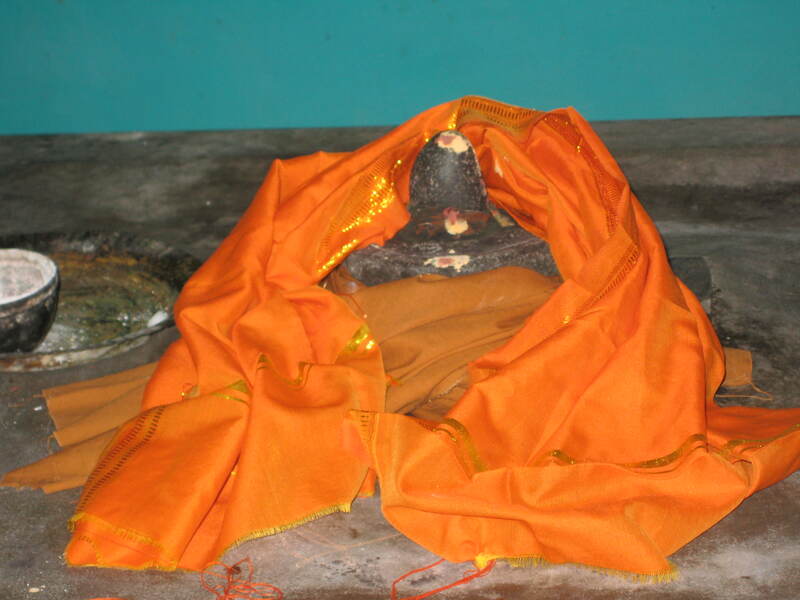 Maha abhishegam was performed by the Grandsons and Great Grandsons of His Holiness Sri Subramania Sastrigal [Yatheendraal] which included milk, vasana diraviyam powder,sandal powder, Ganga water, Honey, turmeric powder five tender coconuts [as per Agama norms] and Vibhoothi abhishegam. After the rituals were over, Prasadams like Sarkaraipongal, Panchamirtham, Pottukadalai Sarkarai , [a favourite of Yatheendraal], were distributed to the bakhthas / devotees assembled for the Aradhana. The function commenced by 9 A.M and came to a close at around 12 Noon. The Vedic Scholars and pundits were duly honoured and were offered Sambavanai and Vasthrams. This was followed by a sumptuous meal for all the people gathered for the Aradhana. The powers of the Mahaan was once again felt this year....no sooner the Puja started at the Adhishtanam, there was a down-pour of rain which was very unusual, as the skies till then was very clear and sunny! Seeing this, all the Bakthas / devotees gathered at the Adhistanam could definitely experience and feel the Greatness of this Mahaan. Sri Kannan Gurukkal, performed the Aradhana Abhishegams in a very profound manner. On the whole the function attracted a huge crowd and was a grand success! On the eve of 78th Maha Guru Pooja of Poojyasri Sri Siddhamalli Periavaa, i.e. 15-11-2011, the religious Discourse on DIVYA CHARITHRAM OF SRI ABHIRAMA BHATTAR was delivered by the Great Grandson of Yatheendraal, Shri "Jyothisharatna" Raman, at 6 PM in the house of Siddhamalli Periyavaa. It was with great pride for one and all gathered there, to learn that Sri Yatheendral is the 7th Guruparambara of Sri Abiramabhattar who lived in Tirukadaiyur and composed "ABHIRAMI ANTHATHI". The Maha Guruparambara list was released during this lecture. This Discourse was attended by all of his family members and other Devotees. Come to Siddhamalli and get the Holy Blessings of Samadeeshwarar !